Away from the food bazaar, the Japanese skill game Kendama, in which a player juggles a ball on a string between three cups and a spike on the same stick, attracted its own crowd as some of the 90 competitors in the festival’s Sakura Classic demonstrated their techniques. 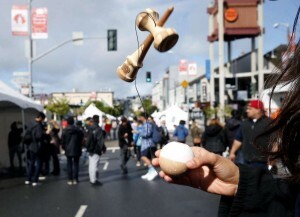 “The sport has been around for about 100 years,” said Jake Wiens, a professional Kendama player from Oakland. Stay tuned for the Sakura Classic recap! 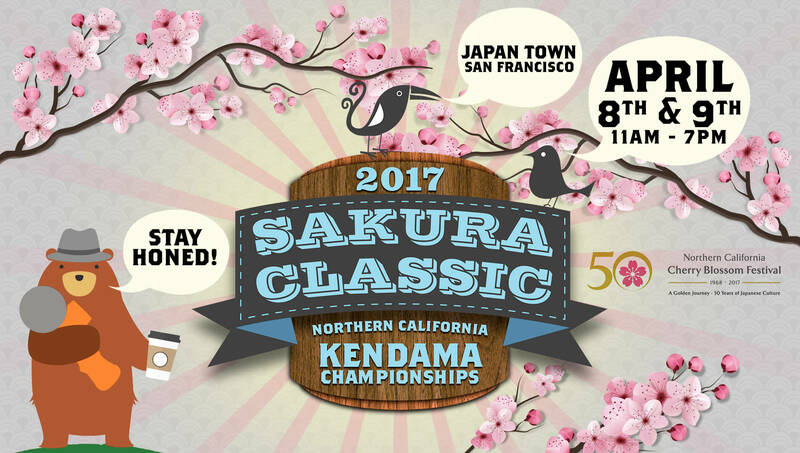 The Sakura Classic is going down during the Northern California Cherry Blossom Festival in San Francisco on April 8th & 9th from 11AM – 7PM. It’s Totally FREE including Pro Workshops, mini-games, prizes, and more! The Sakura Classic is made possible by the Consulate General of Japan San Francisco, Kendama USA, The Kengarden, the KG Tues Crew, Grain Theory, and the NCCBF. Be sure and head over to the Sign-Up Page to learn more, sign-up & get a schedule of events & trick lists.